← Deviled Eggs That Taste Good But Have Less Devilish Carbs! When people let their calorie levels drop too low, their body’s survival mechanism kicks in, lowering their metabolic set point (or basal metabolic rate). When they go off that crash diet and begin to eat normally again, they gain back any weight lost and then the yo-yo dieting begins. However, the cycle can be reversed with time, consistency, and patience. You have to slowly and patiently shock your metabolism by eating a consistent diet and letting your body time adapt to a new metabolic set point over time. 1. Food intake number: First, set your daily caloric intake at 12 calories per pound of body weight. (For example, my weight is 116; 117 x 12 = 1,392 calories a day.) Then you have to stick to that calorie allowance for at least one to two months, depending on your metabolism. This will allow your body time to readjust your metabolic set point accordingly. 2. Exercise: The absolute best way to pump up your metabolism is to EXERCISE. You’ll be burning calories not only during your workout but also up to 48 hours after — all the while increasing lean muscle tissue, which speeds the metabolism over time. Aim for 3-5 hours a week. When I started with my high protein, low carb diet, I followed the calorific intake and low carb intake and did pilates 2 times a week (eventually 4) , yoga once a week and I tried to get in elliptical work 2-4 times a week. That is a lot, but it helped burn it off faster. 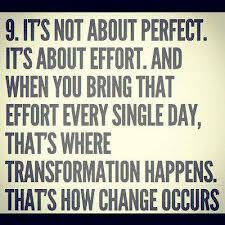 IT IS ALL ABOUT EFFORT! Also, once you reach goal, it takes a year of CONSISTENCY of staying on a maintenance schedule of calories and low carb intake to get your body to be fully adjusted to the goal number–with a variance of 5 pounds. I monitor constantly, and if I am creeping up to the upper 5 limit, I start lowering my intake a bit and exercise more to maintain the right number. It is consistency and fortitude to stay on a diet. Crash diets will only screw your metabolism and your weight up.